Chapter 140 - State Art Museum; Symphony and Art Societies. Article 1 - North Carolina Museum of Art. §§ 140-1 through 140-5.1. Recodified as §§ 140-5.12 to 140-5.17. Article 1A - Art Museum Building Commission. § 140-5.2. Repealed by Session Laws 1973, c. 476, s. 43. §§ 140-5.3 through 140-5.6. Repealed by Session Laws 1985 (Reg. Sess., 1986), c. 1028, s. 16. §§ 140-5.7 through 140-5.11. Reserved for future codification purposes. Article 1B - North Carolina Museum of Art. § 140-5.12. Agency of State; functions. § 140-5.13. Board of Trustees. § 140-5.14. Board of Trustees – powers and duties. § 140-5.15. Director of Museum of Art; appointment; dismissal; powers and duties; staff. § 140-5.16. Gifts; special fund; exemption from taxation. § 140-5.17: Repealed by Session Laws 2007-484, s. 19, effective August 30, 2007.  Article 2 - North Carolina Symphony Society. § 140-6. Repealed by Session Laws 1973, c. 476, s. 89. § 140-7. Adoption of bylaws; amendments. § 140-9. Allocations from Contingency and Emergency Fund; expenditures. § 140-10. Counties and municipalities authorized to make contributions. § 140-10.1: Repealed by Session Laws 2013-316, s. 5, effective January 1, 2014. Article 3 - North Carolina State Art Society. § 140-11. Repealed by Session Laws 1973, c. 476, s. 81. § 140-12: Repealed by Session Laws 2012-120, s. 1(c), effective October 1, 2012. § 140-13: Repealed by Session Laws 2012-120, s. 1(c), effective October 1, 2012. § 140-14: Repealed by Session Laws 2012-120, s. 1(c), effective October 1, 2012. § 140-15: Repealed by Session Laws 1999-337, s. 35(b).